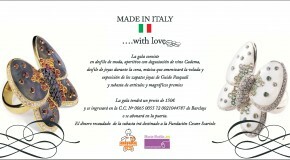 “Made in Italy” Gala – Marbella! 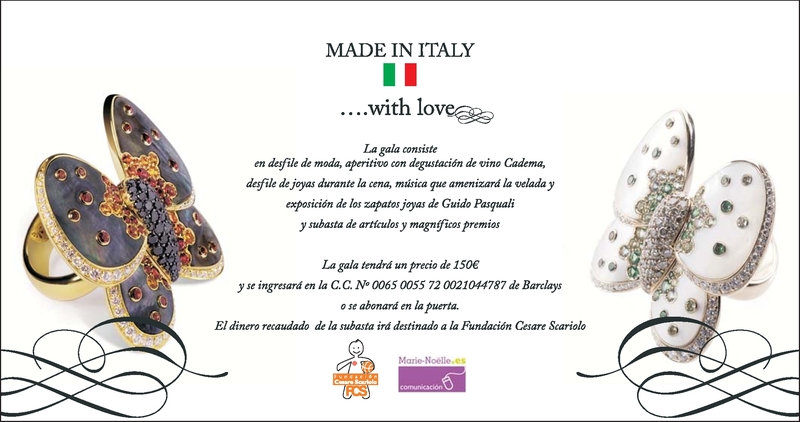 | Marbella Marbella – Adelante! 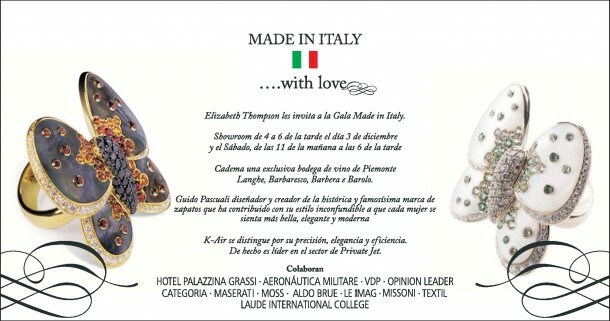 "Made in Italy" Gala - Marbella! 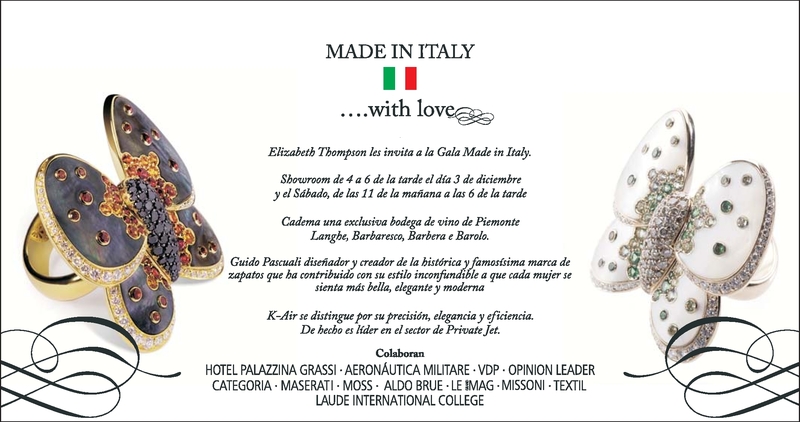 It is my pleasure to invite you to the Made in Italy gala, 3rd December, where Italian brands will be the focus of the night. There will be a reception, a gala dinner, a fashion show and a performance that will not only open the Christmas period, but will also help us to support the Cesare Scariolo foundation. Please reserve in advance as places are limited to the space. 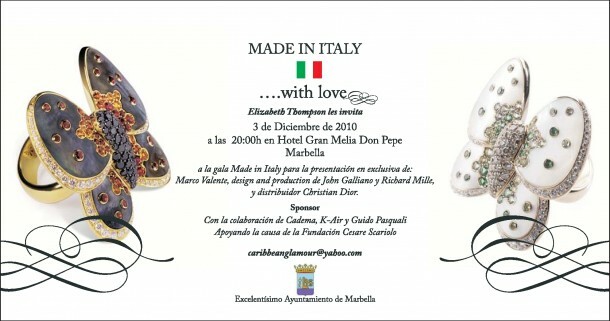 Help support the Cesare Scariolo foundation.